Recently we learnt that we all like lemon flavoured goodies so i decided to combine our favourite (cupcakes) and lemon curd. All made by us! Here is our lemon curd through its steps. Now on to our cupcakes! As usual we made our classic cupcakes. Here's our recipe we always use for cupcakes! Once you have all you ingredients you'll need to pre-heat the oven to 190°C, put your cupcake cases out on the tray ready to and go get your little one! The first step is to cream the butter and sugar, the easiest and fastest way to do this is to use an electric whisk . 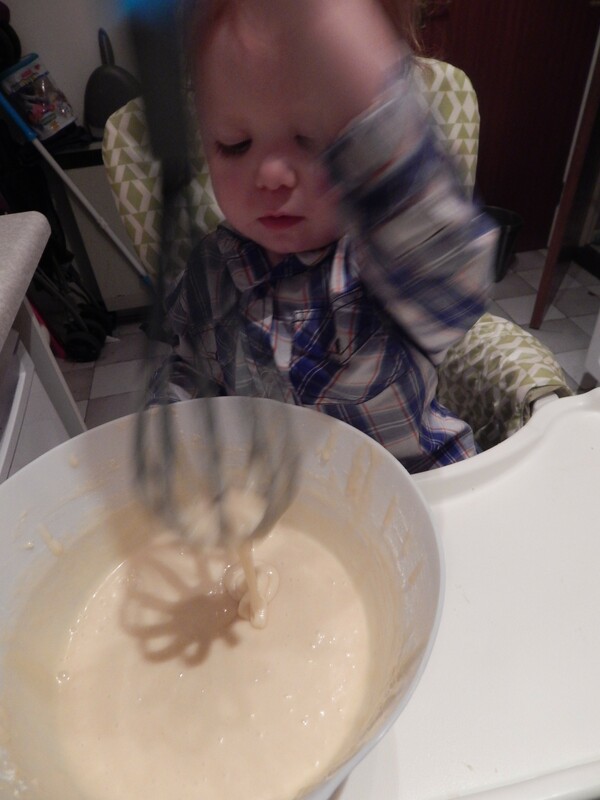 We usually hand whisk as it's more fun! This takes slightly longer but also means that D could join in with the mixing. 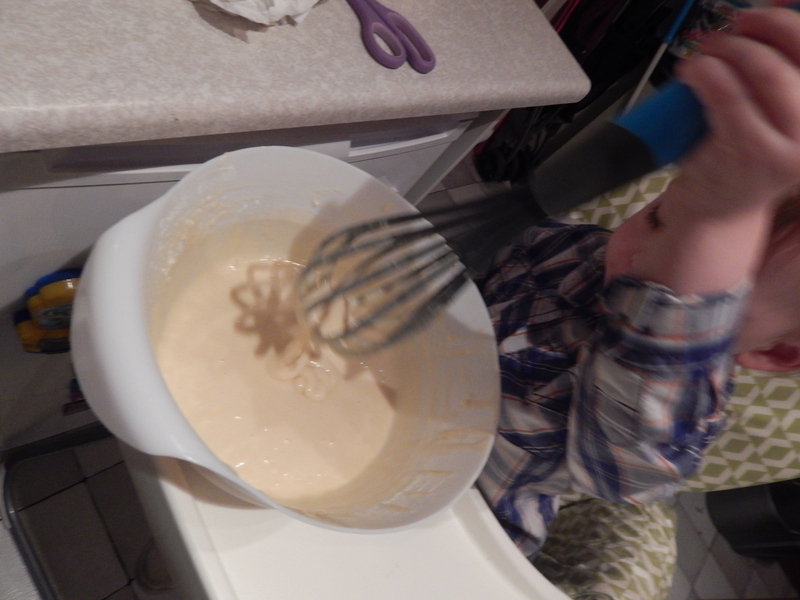 Although you can use the electric whisk then let them have a few goes at stirring it so they are involved. Once the butter and sugar are creamed, the next step is to beat your eggs, best to do your eggs one at a time in a separate bowl or mug with a fork adding into the mixture once beat. Doing this ensures you won't get a rotten egg in your mix and have to start again. Once you have a smooth mixture. D rather liked mixing it at this point as he always does. 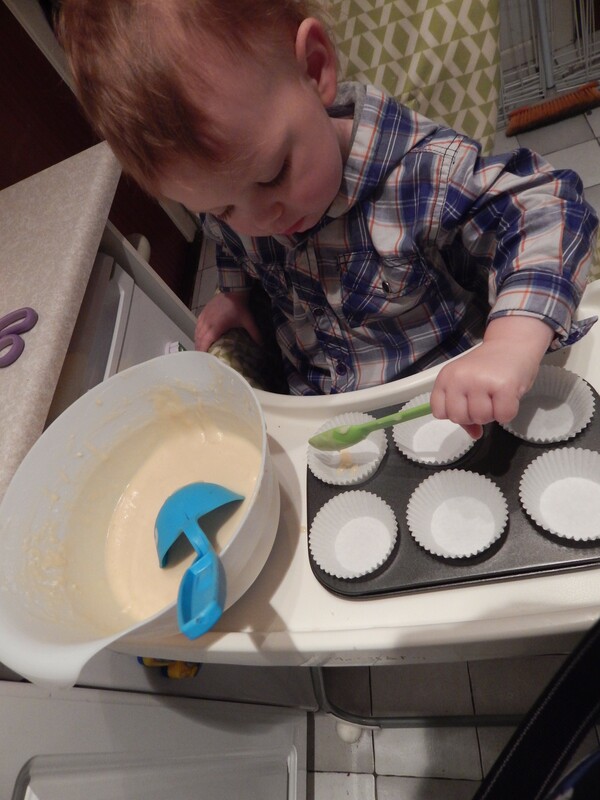 There's so much you can do with cake mix in the 3 seconds it takes mummy to get a spoon! The next step is to sift in the flour. 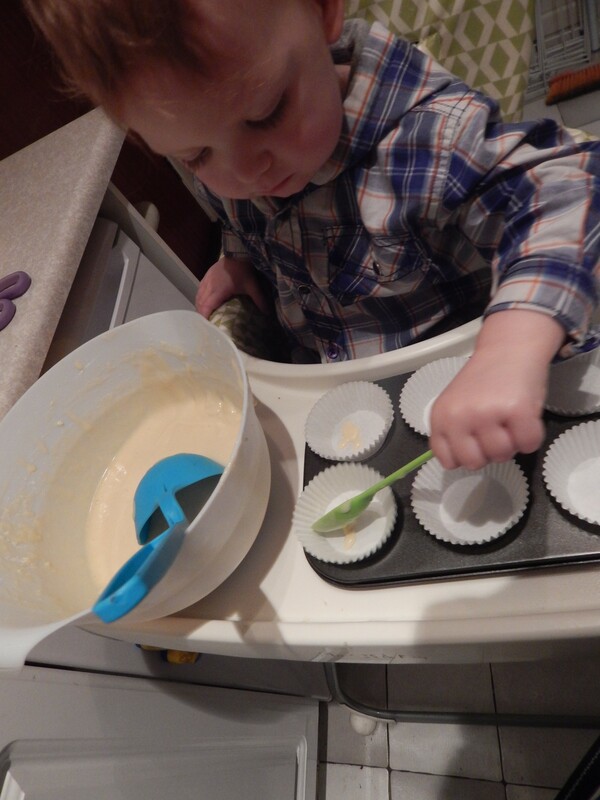 Get your child to mix as you add flour bit by bit and help them to mix in between adding flour. Once all the flour is mixed in and the mixture is smooth with no lumps you can start to add the mixture into your cupcake cases. Make sure you don't go over about two-thirds full as they can spill over the sides and stick together. Once they are all filled you can put them in the oven. Our recipe like most takes about 10-20 minutes just keep an eye on them while you tidy up. They should be lightly browned and will bounce back up when lightly pushed down with your finger. 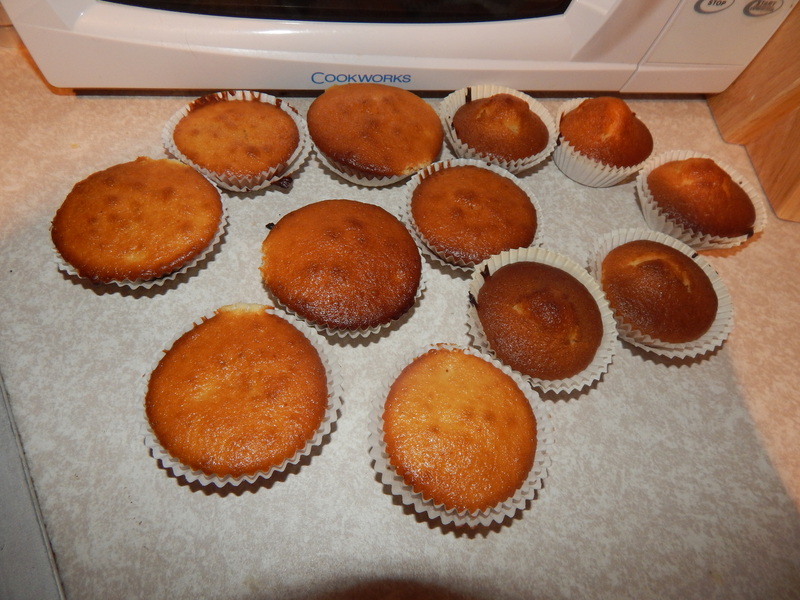 Once the cupcakes are ready remove from the oven and allow to cool. D really hated this part! He just wanted a cupcake! 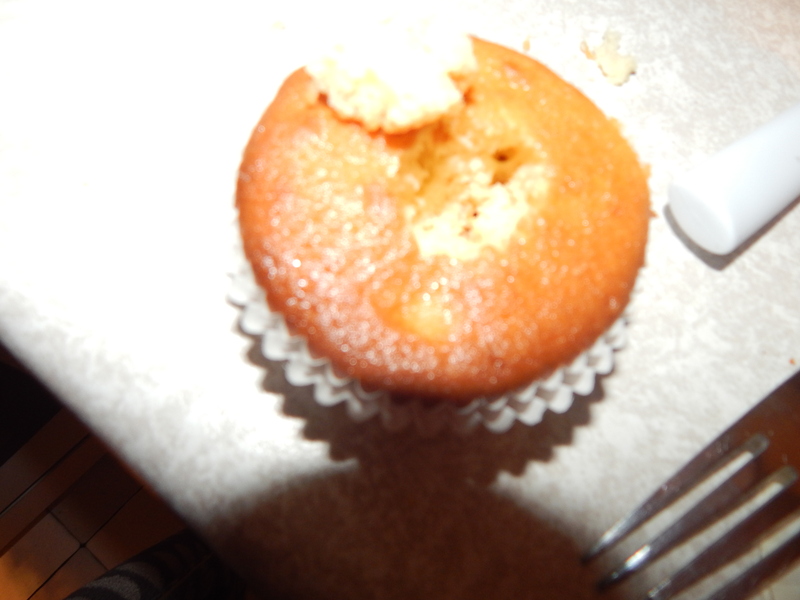 After they have cooled we need to make a hole or well in the centre of each cupcake so we can add in the Lemon Curd. Using a spoon add the Lemon Curd into your wells in the cupcakes. Once filled recover the top with some of the removed cake. 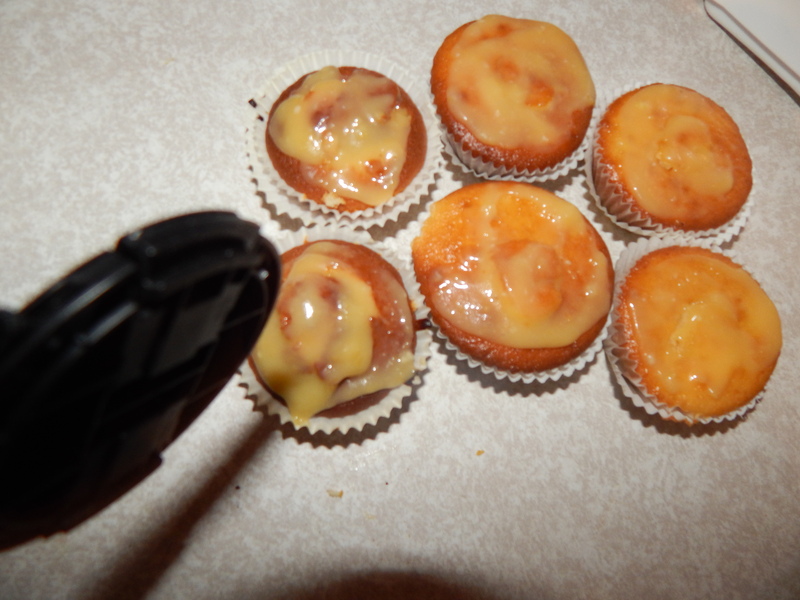 Add some more lemon curd to lightly cover the cupcake and you can also add some plain or coloured icing on top too!